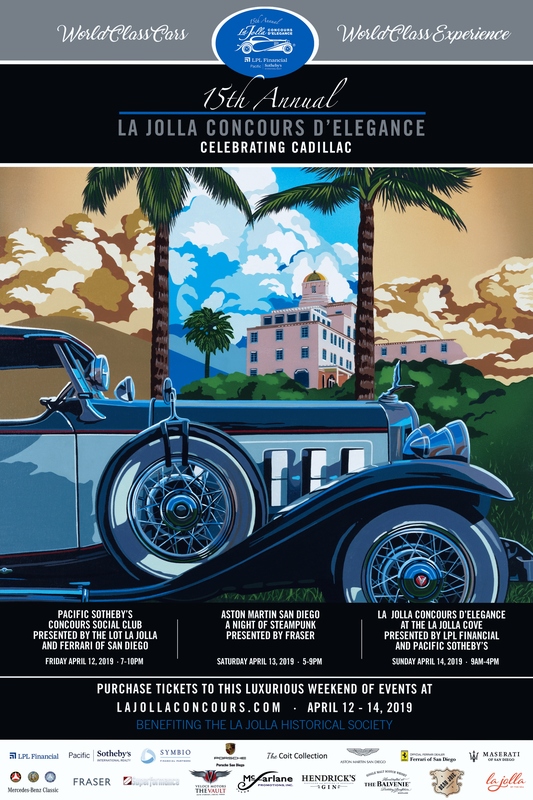 I’m pleased to announce my association with the La Jolla Concours d’Elegance, taking place this April 12-14, 2019, where I will serve as the event’s Master of Ceremonies for the Concours awards program, and at various related events occurring throughout the Concours weekend. 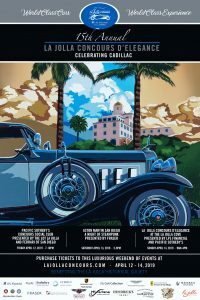 The La Jolla Concours experience offers more than just a great car show — there’s a pre-show drive including collection and museum visits, all manner of social, cocktail, and dinner events — each of them staged and presented by top notch sponsors and marketing partners. My only regret in taking on this engagement is that it comes at someone else’s misfortune. La Jolla’s regular Emcee/Host is my friend, Sports Car Market magazine publisher Kieth Martin, who is under the weather at the moment and unable to do the gig, so it’s my honor to attempt to fill his shoes this year. The good news is that Keith is recovering fine and well, and will be back to 100% soon. I’ll do my best in his stead, and send him every good wish. So if you fancy a great weekend of automotive and automotively flavored events, please come meet me and let’s enjoy the La Jolla Concours d’Elegance together. You can get all the news and details at https://www.lajollaconcours.com/ and I hope I see you there….